In the Unites States senate, Senator James Inhofe showed photographs to prove a Russian invasion in Ukraine (February 13, 2015). But the pics – which he received from Ukrainian politicians – were fake. New York Times: „As Gawker reported, just hours after they were posted online by the Beacon, a group effort to vet the photographs had revealed that one of the images, taken in October, actually showed separatists in Ukraine, while the other two did show Russian troops, but driving near Russia’s border with Georgia more than six years ago during the brief conflict in South Ossetia.“. In Germany, there’ve also been some incidents with images from Georgia that should show Russian tanks in Ukraine. The two biggest scandals came from the two german public broadcasting tv stations, ARD and ZDF. In August 2014, WDR (an ARD subdivision) showed a photograph from Georgia (Summer 2008) and wrote „Russian battle tankes entering ukraine on 08.19.2014 under the eyes of media representatives“. 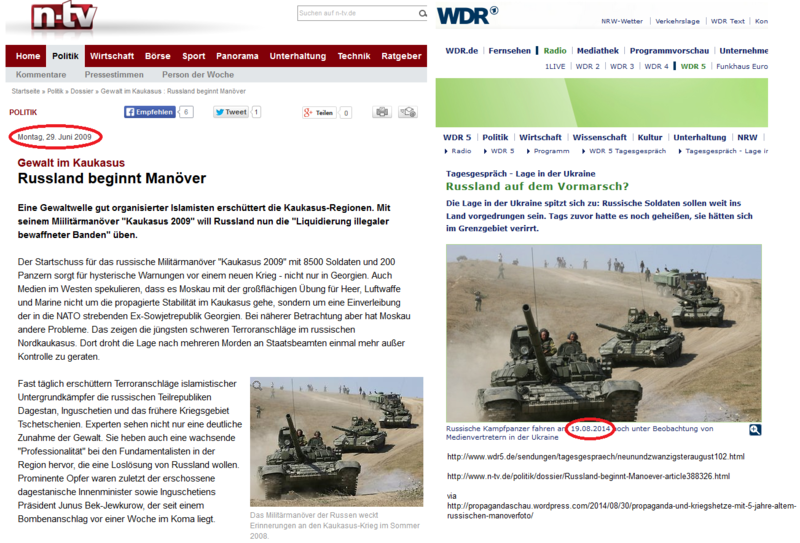 Unfortunately, exactly the same picture has been – for example – used by the German tv station n-tv in an article in 2009 to illustrate a Russian maneuver in the Caucasus region … Bizarre: Even though ARD/WDR said „Sorry“, they used the same Russian tank image from Georgia two weeks later (09.02.2014) in tv to „prove“ a Russian invasion. 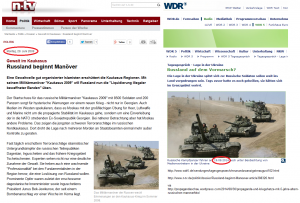 In February 2015 (02.12.2005), ZDF’s heute.de showed – in a „live blog“ – a picture of Russian tanks. The article was titled „Liveblog: Kiew reports 50 Russian tanks“ and „reports“ that allegedly 50 tanks and 40 rocket launching systems has been brought from Russia into Ukraine, according to the speaker of the Ukrainian army. 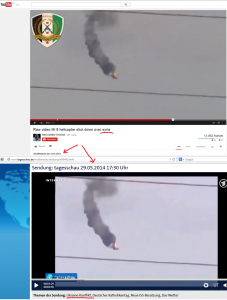 Unfortunately, the ZDF image didn’t show Russian tanks entering Ukraine but tanks in Georgia in the „live blog“. And that tank photograph has been used before. 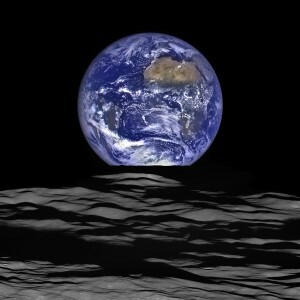 For example in a blog from Corea, in 2009. Guess what? ZDF said „Sorry“. German critics say, there’ve been too many „sorries for mistakes“ in the Ukraine crisis coverage for wrong images or other faked informations. 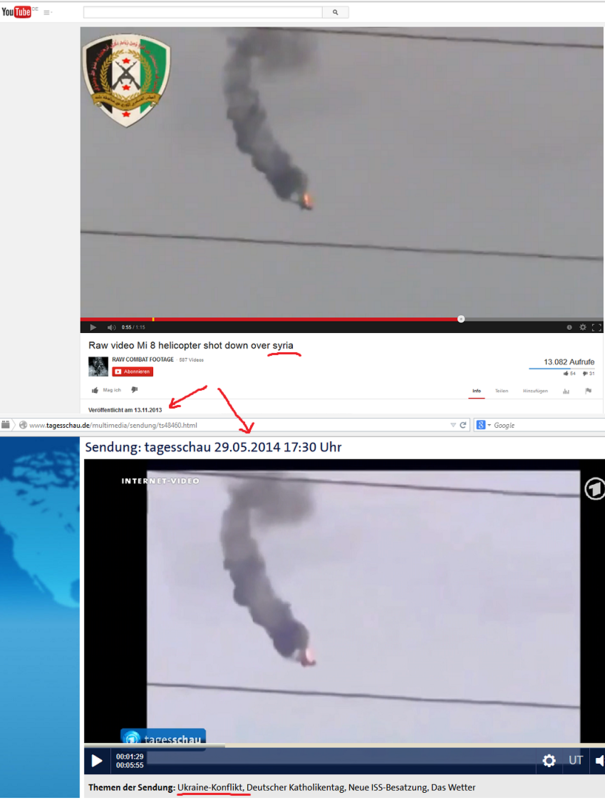 Another famous and often criticized fake also comes from the ARD (ZDF used it too): They showed a video clip of „a helicopter of Ukraine’s army that has been shot down by Pro-Russian separatists“ in Germany’s main newscast („Tagesschau“). This happened in May 2014 (05.29.2014), when the Ukraine war just has been started. Unfortunately, the helicopter hasn’t been shot down in Ukraine in 2014 but in Syria in 2013. The video sequence was taken from a Youtube video of Syrian fighters (Raw video Mi 8 helicopter shot down over syria) which has been edited to make it suitable for the Ukraine crisis. The ARD video of that newscast with the faked material is no longer avaible on their website but there are some videos on Youtube. And Tagesschau/ARD did not really say „Sorry“ or explain this to the TV audience in the next newscast. Because … Sure: It was just a little mistake. Nächster Beitrag:Russland hat die Ukraine angegriffen!! !